Tom Paladino a scalar energy researcher with 25 plus years experience helping people with chronic pathogenic illnesses joins eHealth Radio and the General Health & News and Pathogenic Disease Channels. Where does scalar energy originate and describe its nature? What is the difference between scalar energy and electromagnetic energy? How does scalar energy disassemble pathogens? How does scalar energy assemble nutrients inside the human body? How does scalar energy allow you to treat people by way of their photograph? What is the future of scalar energy and how will it's acceptance serve to change the world for the better? What unique experiences have you witnessed when working with scalar energy in your laboratory? My research and work with scalar energy, (Creative Strength), began during my under-graduate years. I was inspired by various scientists, especially Nikola Tesla, as to the existence of an energy that was not of the electromagnetic spectrum. With this inspiration, I pursued a course of independent study in order to better understand and subsequently harness scalar energy. Scalar energy is also known as prana, chi, radiant energy, zero point energy, qi, orgone, eloptic energy. After years of experimentation and modification, I have developed a technique using scalar energy that will transmute pathogens quickly and painlessly. This technique facilitates the use of photographs of people who desire to have pathogens transmuted in their bodies. I have developed a treatment process whereby I am able to administer the scalar energy reverse-phase angle harmonic of a pathogen, thereby causing that agent of infection to disassemble or fall apart. Scalar energy operates at the quantum level and is capable of disassembling all types of pathogens thus eliminating the causative agent of disease. Once the causative agent of a pathogen disease has been eliminated the symptoms associated with that infection decrease or disappear altogether. 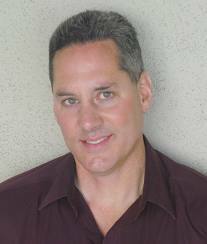 Click here for more on Tom Paladino and scalar energy with latest updates.